China will continue to hit back against the US if more tariffs are imposed, the country's finance minster has said. 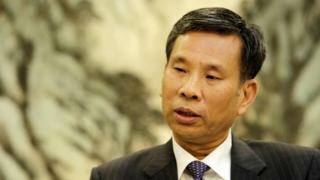 In an interview with Reuters, Liu Kun said China would respond "resolutely" to the "unreasonable" US measures. In his interview with Reuters, Mr Liu said: "China doesn't wish to engage in a trade war, but we will resolutely respond to the unreasonable measures taken by the United States. Mr Liu said China was responding to the US measures in a "precise way". White House deputy press secretary Lindsay Walters said the two sides "exchanged views on how to achieve fairness, balance, and reciprocity in the economic relationship". In a statement, China's Ministry of Commerce said the Chinese delegation had held "constructive and candid" talks on trade issues. "Both sides will keep in contact about the future arrangement," it added. By imposing tariffs on Chinese imports, President Trump hopes to make life easier for US companies, whose goods will become cheaper within the US by comparison. The duties are part of his broader "America First" approach, which has also prompted the US to impose higher import duties on steel and aluminium, including from Mexico, Canada and the European Union. All of those countries have retaliated. Many US companies and industry groups have testified to the US Trade Representative's Office that their businesses are being harmed.